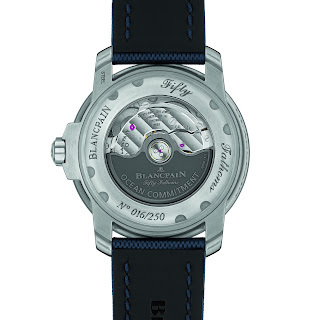 BLANCPAIN has launched a third Limited Edition series of Blancpain Ocean Commitment dive watches – introducing the Fifty Fathoms OCIII which now proudly wears the BOC logo on its dial. 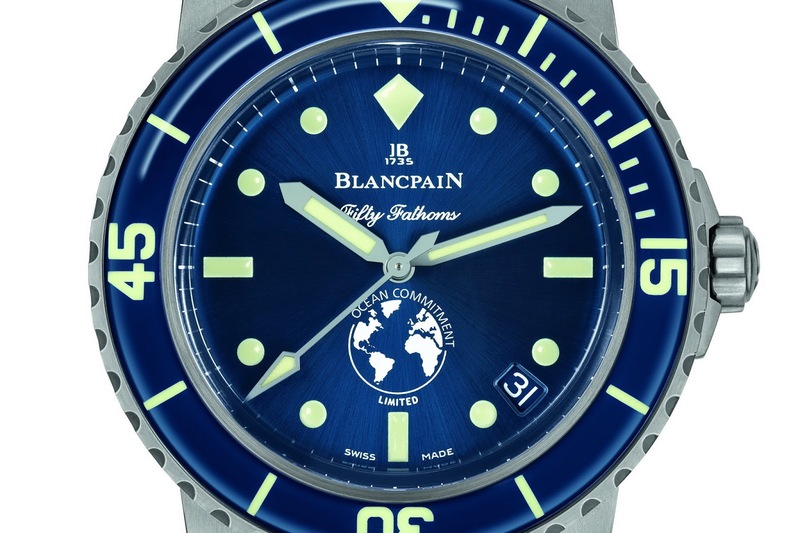 On the occasion of World Oceans Day, Blancpain unveiled the world premiere of their third series of Blancpain Ocean Commitment (BOC) Limited Edition diver’s watches. 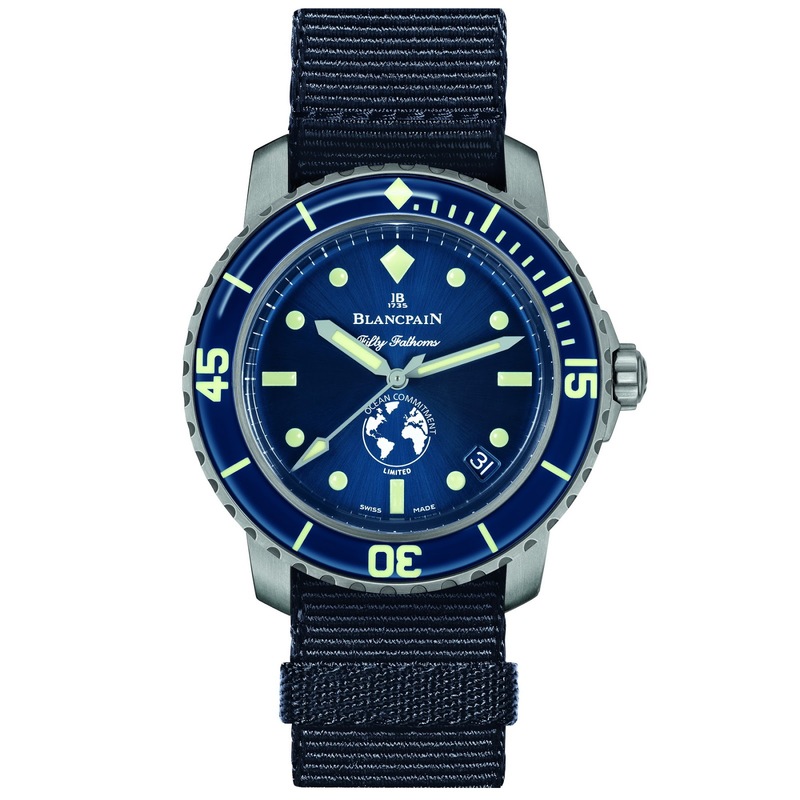 By purchasing one of the 250 dive watches, each customer contributes to Blancpain's participation of the cause of ocean protection with the brand committing 1000 euro from the sale of each watch, a total of 250,000 euro donated. 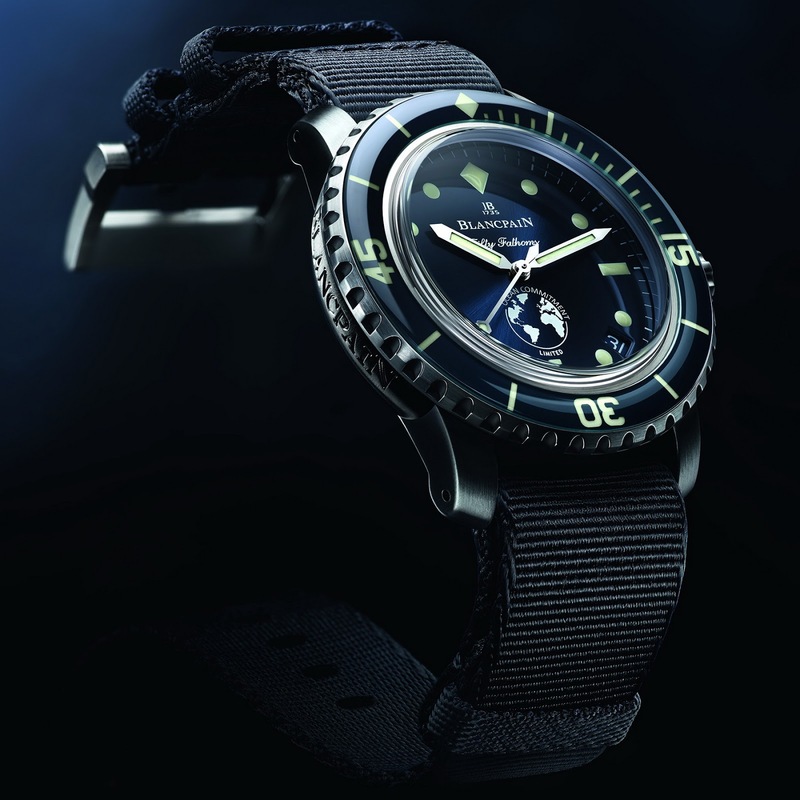 The Fifty Fathoms is considered to be the first modern dive watch, first introduced in 1953 by Blancpain who have maintained an unfaltering commitment to exploring, preserving and achieving a better understanding of the world's oceans since. 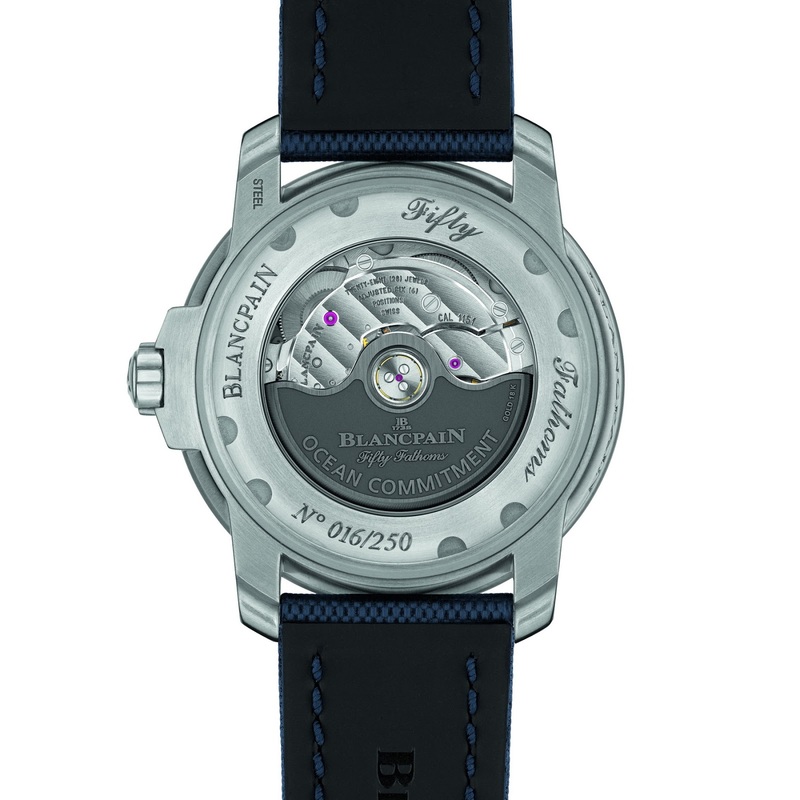 During the past 65 years, Blancpain’s dedication has been intensified and diversified through multiple joint-partnerships. 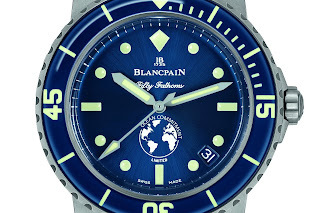 Four years ago, in addition to Blancpain's annual support to expeditions and major oceanographic projects, the brand introduced a first series of Limited Edition BOC diver’s watches. Following the success of this dive watch and the positive message it conveyed, the Swiss Manufacture extended this initiative in 2016 and is now unveiling the third BOC timepiece for 2018. The Fifty Fathoms Ocean Commitment III being based on the re-edition of the 1953 FF retains its key characteristics, characteristics which have defined some of the greatest dive watches for the entire dive watch industry, since. Built with more than a strand or two of DNA from the original FF, the BOC timepiece houses a reliable and robust automatic movement, the caliber 1151, which boasts four-days of power reserve. 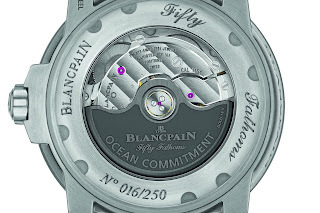 Its balance is fitted with a Si silicon hairspring, a material totally insensitive to magnetic fields. Because of this, the movement is thus protected without need of a Faraday cage (an inner soft iron case), which was the solution used in the past. The case is also equipped with a Sapphire case-back affording views of the movement's fine Côtes de Genève decoration, as well as of the gold winding rotor engraved with the inscription Ocean Commitment and featuring a NAC finish (an alloy notably composed of platinum). 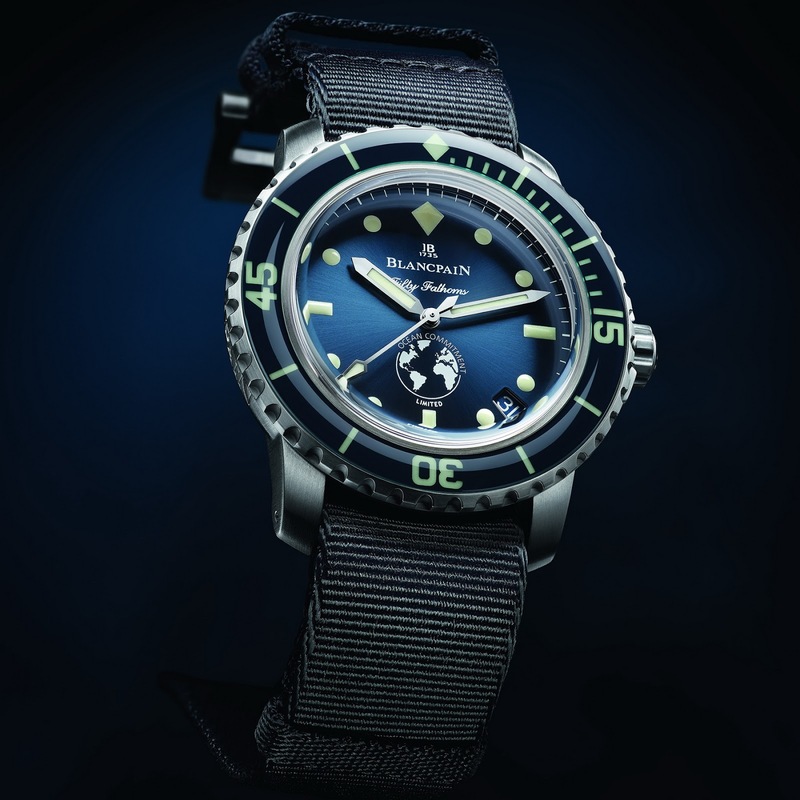 The BOCIII has a water-resistance to 30 bar, the equivalent to approximately 300 meters, and has a unidirectional rotational divers bezel, a must-have for a dive watch. 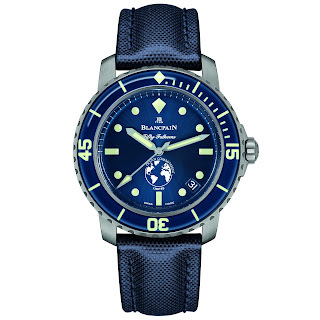 With its blue color, a reference to the oceans, the bezel is topped by a scratch-resistant Sapphire inlay, an innovative feature introduced by Blancpain in 2003. Its large markers are in SuperLumiNova, as are the dial's markings and hands, thus ensuring optimal readability in underwater conditions. The deep blue color used to style the bezel is also found on the dial of this Limited Edition diver bearing the BOC logo in white at 6 o'clock. The new Fifty Fathoms Ocean Commitment III is offered in a 40mm satin-brushed Stainless steel case, an exclusive diameter reserved only for limited edition Fifty Fathoms. It is delivered on a sail-canvas strap and comes with an additional NATO strap, both matching the color of the dial and the bezel. The 250 watches of the BOCIII series will all be individually numbered. Each customer will receive a corresponding hand-numbered copy of the Edition Fifty Fathoms book, which like OceanicTime will be celebrating its 10th anniversary this year. Thoughts? What’s not to like! Well perhaps the logo could be considered a bit of an eye-sore, but it’s what the BOC is all about, right? 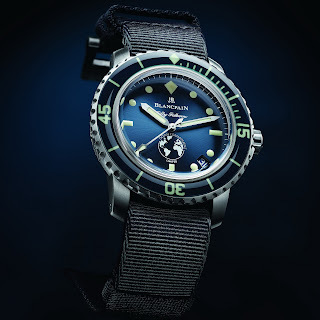 A 40mm FF is going to be appealing prospect to some too, but imho, the Bathyscaphe already has it all and would be my Blancpain model of choice especially the ceramic version, but this is nice if not too small.